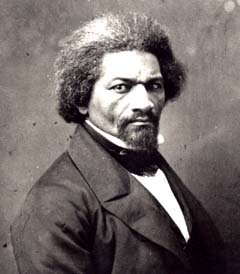 Fredrick Douglass was the most prominent African-American of the 19th century. He was born on a brutal slave-plantation in Virginia in 1818. Slaves were prohibited from education but he self-taught himself to read and write before escaping. He became a writer and a leader of the anti-abolitionist movement. He was famed for being a brilliant orator talking to packed audiences in Britain and Ireland about his lived experiences of the ravages of slavery. Douglass was an ardent supporter of the feminist movement that would lead to the women’s vote and universal suffrage for women. He was the first Black man to visit the White House itself built by slaves where he counselled Abraham Lincoln on race and politics. Please do reach out for more information about my work, events and/or an interet in collaboration. 50 Years On The Life of Dr Martin Luther King Jr. An extract from My American Odyssey.